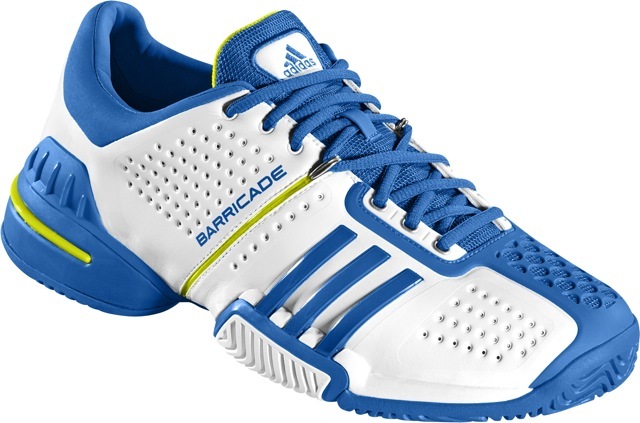 adidas proudly presents its brand new version of the legendary Barricade. The Barricade 6.0 features unrivalled stability and durability characteristics and surprises with a new design and reduced weight. Justine Henin, Andy Murray, Ana Ivanovic, and Jo-Wilfried Tsonga will wear the Barricade 6.0 at the 35th edition BNP Paribas Open in Indian Wells. When the first Barricade was introduced ten years ago, it redefined the industry with unprecedented stability, durability, and comfort. The perfect hard-court shoe was created! The Barricade 6.0 continues its rich tradition and makes this shoe one of the world’s most elite tennis shoes for over a decade. “We have sold over 3.5 million pairs since the first Barricade in 2000. So making one of the most successful tennis shoes even better is not an easy challenge, but we did it again! The Barricade 6.0 is even lighter without compromising on stability, comfort, and design. All tests and feedback by our players have been excellent,” said Graham Williamson, adidas Vice President Business Unit Court Sports. 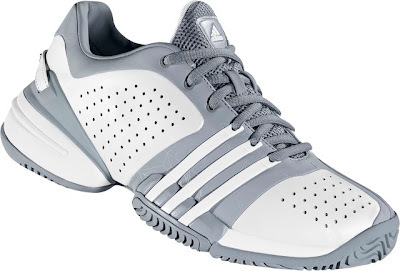 The Barricade 6.0 is an all-court tennis shoe featuring its unique “claws” technology for perfect forefoot stability during extreme direction changes or lateral movements. Placed further in the forefoot area, the 3-Stripes match with the position of the “claws” and thus create an upper with cleaner lines and a more distinctive design. The shoe also features the Torsion® system for optimal surface adaptation, adiPRENE®+ for forefoot cushioning, and adiWEAR® for better durability. “The Barricade 6.0 is the most holistic Barricade I have ever designed. I was inspired by futuristic industrial design and every line and detail follows a clear, minimalist design philosophy. The Barricade “claws” stability unit and the typical color block in the midfoot area best demonstrate the interplay of functionality and design. I am also very happy that we designed a women’s model with even softer and rounder lines for a more feminine look,” commented Thomas Weege, Global Head of Footwear Design, who designed all six Barricades. 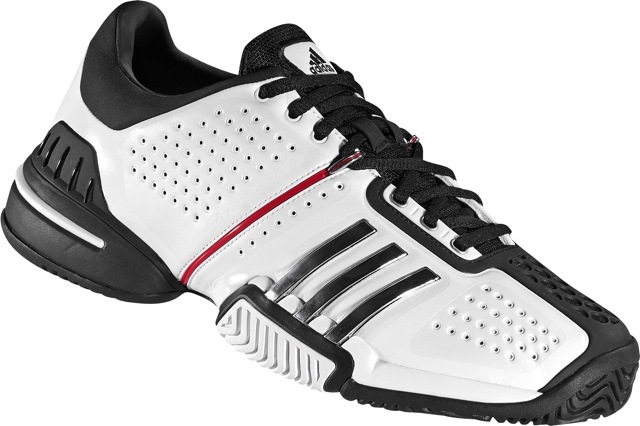 The women’s model of the Barricade 6.0 is specifically developed for the different needs of female athletes. adidas adjusted the claw stability construction for more forefoot flexibility and shaved off weight without compromising on durability or stability. Whereas the men’s shoe transmits power, speed, and athletic force, the women’s version displays a touch of female elegance thanks to softer and finer lines around the claws on the forefoot. adidas Barricade is available at adidas Greenbelt 3, Trinoma, Rockwell, Ermita, Eastwood Mall, and Shangri-La Mall, and Toby’s Alabang Town Center.